Jobs Description: ASF Jobs April 2019 can be viewed in our site. Visit our site to view ASF Jobs April 2019. The Government of Pakistan recently announced an advertisement for Jobs of AMI, Corporal, Corporal Driver, Assistant, Stenotypist, Draft Man, UDC, LDC, Medical Attendant, Laboratory Attendant, Compounder, MD Driver, Bawarchi, and Khakrob. Pakitan Airport Security Force is one of the best Forces in the World. 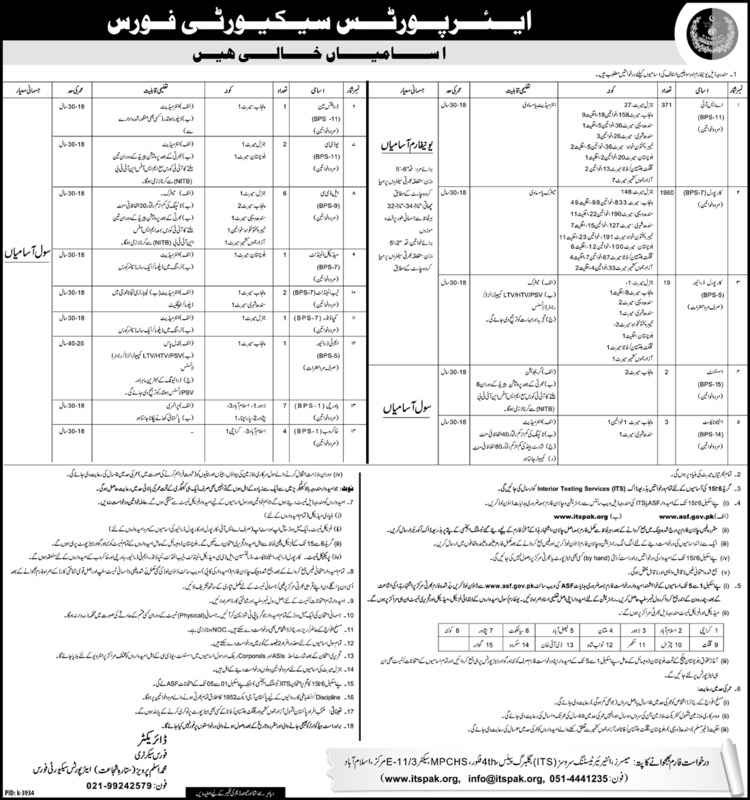 Pakistan Airport Security Force has required the applications for the following jobs. How To Apply: Other details are given below in the advertisement.